Greg Wren was automatically deposed as NCOIL president when he resigned Tuesday as a member of the Alabama House as part of a plea deal. Greg Wren, president of the National Conference of Insurance Legislators, was automatically deposed last week when he resigned as a member of the Alabama House as part of a plea deal with state prosecutors. Wren, a Republican who represented Montgomery, resigned his legislative seat April 1, the same day he agreed to plead guilty in state court in Montgomery to a misdemeanor charge of using his office for personal gain. He agreed to pay $24,000 restitution, within 90 days, and to cooperate in a continuing investigation of corruption. According to charging documents, Wren’s problems stemmed from a state probe into his attempts to add language to the state General Fund budget late last year that would have effectively made a pharmacy cooperative, the Bessemer-based American Pharmaceutical Cooperative Inc., the sole supplier of drugs for Medicaid patients in Alabama. 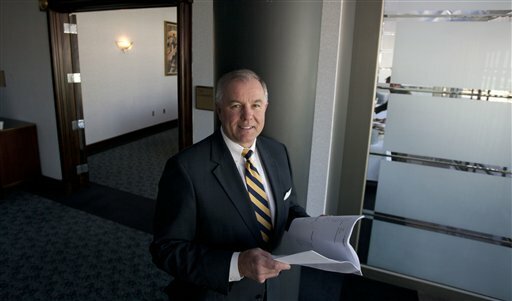 Wren’s lawyer, James Anderson, said Wren did no business with the Alabama Co-op. “His contract was with RxAlly, a Virginia company that Greg did not know had ties with the Alabama Co-op,” Anderson said. Wren’s amendment was stripped out in a conference committee after state Medicaid officials raised concerns, according to media reports. Wren’s lawyer said Wednesday on a talk show in Montgomery that Wren got into trouble as part of his effort to find work because he planned to retire from the state legislature after this year. Wren announced in late January he wasn’t running for re-election, before he appeared before a grand jury. Anderson said he did so after his district was revised through a remapping. At the same time, an industry official said Wren showed up at the NAIC meeting in Orlando last weekend, and gave no indication he was planning to plead guilty to a crime and resign his seat. Media sources in Alabama said the probe also involves other leaders of the state legislature, including Mike Hubbard, speaker of the Alabama House. Hubbard issued a statement after Wren’s guilty plea professing innocence. NCOIL works closely in providing the views of state legislators to the National Association of Insurance Commissioners, and independently develops guidance and model laws state legislators can use in writing laws dealing with insurance oversight. Key issues it has worked on recently included health care, workers’ compensation and developing uniform unclaimed property practices for the states. It also seeks a leading role in ensuring that the states have a strong voice in international insurance issues and are not co-opted on such issues as international trade and solvency standards by the new Federal Insurance Office. Susan Nolan, NCOIL executive director, told the National Underwriter that Wren’s ties with NCOIL automatically ended when he resigned from the Alabama House Tuesday. He took office as NCOIL president last December, and was automatically succeeded by New York state senator, Neil Breslin. Breslin, 72 is a Democrat who represents a district that includes parts of Albany and Rensselaer counties. He also serves as ranking minority member of the New York state Senate’s Insurance Committee, and is a long-time member of NCOIL’s Executive Committee and is a former chairman of the NCOIL State-Federal Relations Committee. Wren is a four-term veteran of the Alabama Legislature who was first elected to the Alabama Legislature in 1994. He left the legislature in 2002, but returned in 2006. According to Nolan, Wren has played a key part in NCOIL. He served as a member of its executive committee from 2009 until he resigned last week, and served as chairman of NCOIL’s Former Chair, State-Federal Relations Committee in 2009 and 2010. Nolan said Wren has issued no statement regarding his resignation, nor his service in NCOIL. According to his biography, Wren has worked with Northwest Mutual Life for more than 30 years and served as vice-chairman of the Insurance Committee in the Alabama House until his resignation.